Providing you the best range of hdpe coil pipe, hdpe pipes, elegant mdpe gas pipe, hdpe perforated pipe, hdpe water pipes and hdpe coupled pipes with effective & timely delivery. VARUN & WATERMAN HDPE Water Pipes are highly preferred over metallic pipes for water transportation due to thier corrosion resistance feature resulting in longer life span.These pipes are manufactured in according to various Indian & International standards such as IS 4984:1995, IS 14333:1996, IS 14151(Pt-2):2008, DIN 8074, DIN 8075, ISO 4427. Leveraging on the vast experience of 27 years, we have emerged as a one stop solution for HDPE pipes, PVC Pipes & Irrigation systems. These are manufactured using advanced machinery & high quality Raw materials from certified Vendors to manufacture the pipes which comply with international quality standards. With installed production capacity of 6000 MTPA for HDPE Pipes we are committed to just in time supplying high quality products to our customers. High Tensile Strength & High Stress Crack Resistance prevents inching growth of cracks. Available in straight length of 5m, 6m, 12m and coil. VARUN & WATERMAN HDPE Water Pipes are highly preferred over metalic pipes for water transportations due to their corrosion resistance feature resulting in longer life span.These pipes are manufactured in according to various Indian & International standards such as IS 4984:1995, IS 14333:1996, IS 14151(Pt-2):2008, DIN 8074, DIN 8075, ISO 4427. Leveraging on the vast experience of 27 years, we have emerged as a one stop solution for HDPE pipes, PVC Pipes & Irrigation systems. These are manufactured using advanced machinery & high quality Raw materials from certified Vendors to manufacture the pipes which comply with international quality standards. With installed production capacity of 6000 MTPA for HDPE Pipes we are committed to just in time supplying high quality products to our customers. 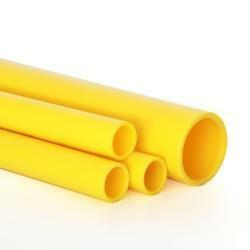 We specialize in presenting a qualitative range of MDPE Gas Pipe. 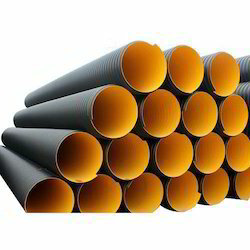 Sturdily constructed these pipes are acclaimed for sturdy construction, dimensional accuracy and consistent performance. Following the demands of our valued customers, we are offering these products in multiple sizes and dimensions. 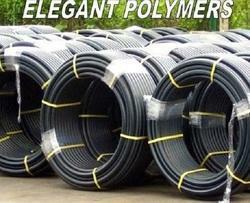 Apart from this, we are offering these pipe range at budget friendlyprices to our valued customers. Size 12mm to 450mm for PE-63/80/100 grade materials, 4", 1.5", 1", 2", 3"
Elegant HDPE Perforated Pipe is used to accelerate the removal of subsurface water in soils or to allow storm water to percolate into the soil. 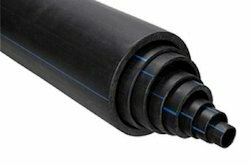 HDPE pipes are produced with slots or perforations to collect and convey subsurface water to a more favorable location for discharge. 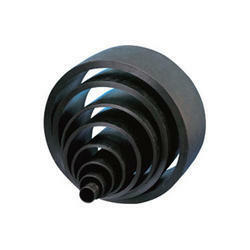 The perforations shall be approximately circular and arranged in rows parallel to the axis of the pipe. 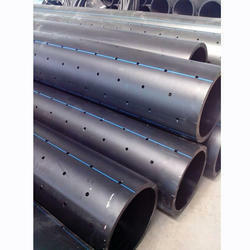 Elegant HDPE perforated Pipes are available in Full / Half / 1/3rd perforation. The locations of the perforations shall be in the valley of the outside surface. Airport runway sub surface drainage system. 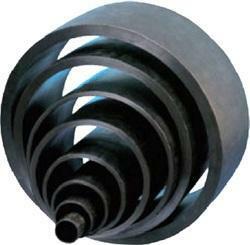 Features High Tensile Strength & High Stress Crack Resistance prevents inching growth of cracks. 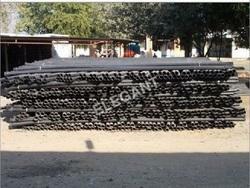 Available in straight length of 5m, 6m, 12m, Coils as per customer requirement. We have crafted a strict foothold in the industry by offering a premium quality collection of HDPE Coupled Pipes to our customers. 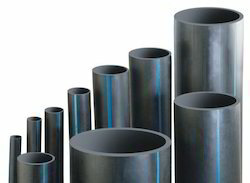 These pipes are well known for their uses and applications in various industrial applications and purposes; these are highly demanded and appreciated. VARUN & WATERMAN HDPE Water Pipes are highly preferred over metallic pipes for water transportations due to their corrosion resistance feature resulting in longer life span.These pipes are manufactured in according to various Indian & International standards such as IS 4984:1995, IS 14333:1996, IS 14151(Pt-2):2008, DIN 8074, DIN 8075, ISO 4427. Leveraging on the vast experience of 27 years, we have emerged as a one stop solution for HDPE pipes, PVC Pipes & Irrigation systems. These are manufactured using advanced machinery & high-quality Raw materials from certified Vendors to manufacture the pipes which comply with international quality standards. With an installed production capacity of 6000 MTPA for HDPE Pipes, we are committed to just in time supplying high-quality products to our customers. High Tensile Strength & High-Stress Crack Resistance prevents inching growth of cracks. Available in straight length of 5m, 6m, 12m, and coil. VARUN & WATERMAN HDPE Coil Pipes are highly prefered over metalic pipes for water transportation due to thier corrosion ressistance feature resulting in longer life span.These pipes are manufactured in according to various Indian & Internatinal standards such as IS 4984:1995, IS 14333:1996, IS 14151(Pt-2):2008, DIN 8074, DIN 8075, ISO 4427. Leveraging on the vast experience of 27 years, we have emerged as a one stop solution for HDPE pipes, PVC Pipes & Irrigation systems. These are manufactured using advanced machinery & high quality Raw materials from certified Vendors to manufacture the pipes which comply with international quality standards. With installed production capacity of 6000 MTPA for HDPE Pipes we are committed to just in time supplying high quality products to our customers. We are counted amongst the reckoned names in the industry; offering varied range of DWC HDPE Pipe that is highly acclaimed among the clients for its high quality and optimum strength. These products are durable in nature and can be easily installed as per the requirement of the clients. We are offering these pipes at affordable price within the stipulated period of time. 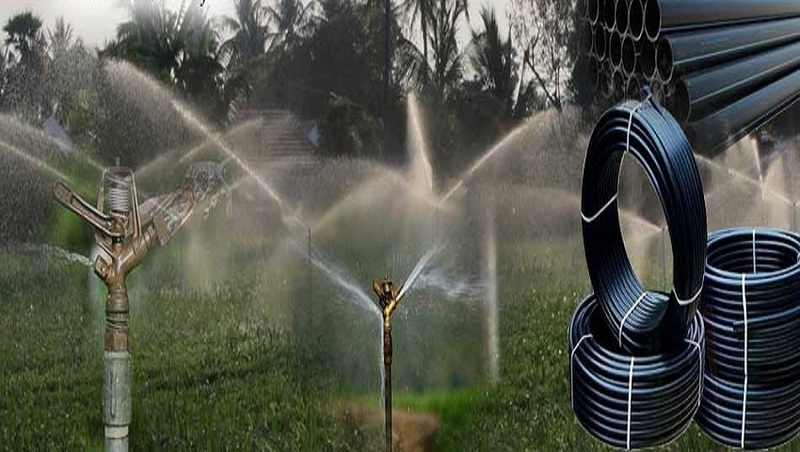 We are also dealing in HDPE Pipe, HDPE Coil, CPVC Pipes, PVC Pipes, LDPE Pipes, MDPE Pipes, PP Pipes, Drip Irrigation System, Sprinkler System, and Agricultural Foggers.